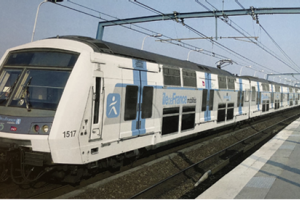 Île-de-France Mobilités and RATP signed with CAF a EUR 121.3 million contract for the refurbishment of 43 five-car MI2N trains that operate Paris’ RER Line A. The renovation of the double-deck EMUs will contribute to improving comfort for travelers and will ensure consistency of the trains operated on the Line A. The modernized trains will enter services in 2020. The refurbishment envisages a new interior which will see new floor covering, replacement of seats, LED lighting. All trains will be equipped with video-surveillance system, passenger information system and will be featured with facilities for passengers with reduced mobility. The project is part of a plan on the modernisation of Parisian trains, launched by Valérie Pécresse, president of the Île-de-France Region which envisages the renovation of more than 700 trains. Transporting more than 1 million passengers a day, the RER A is one of the most heavily used urban rail lines in Paris. In 2017, RATP installed an automated steering system with driver on the central trunk of the RER A, a world first for such a high-capacity line. Thanks to this technical innovation, RATP will be able to improve the line’s regularity and robustness through optimised speeds and constant intervals between trains. RER Line A is one of the five express train lines connecting Paris city centre to surrounding suburbs and it runs from east to west through metro Paris, from Marne La Vallée (Disneyland Paris) to St Germain-en-Laye out west.